2018 has been an awesome year for our organization in many ways through strategic partnerships reaching 10,000 + students in creative coding. In 2nd quarter, we introduced 600 Girls in ICT to computer programming also in the Ashanti Region during Girls in ICT month in collaboration with the Ministry of Communication. Ghana Code Club also collaborated with our partners Mobile Web Ghana, Leti Arts, The Exploratory, Colorcoded USA, AfricaCodeWeek through funding from GIZ to initiate 100 Girls in Apps Development. More than 60 Students participated in Scratch coding during Africa Science Week in collaboration with our partner, Next Einstein Forum Ghana, not leaving out a boot-camp organized for 40 students in partnership with Inno-Sci STEM Club. 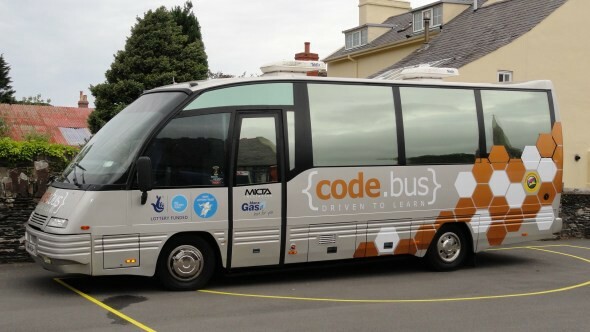 Ghana Code Club is launching the first ever Code Bus Program in Ghana, where coding education will be spread to all communities, cities and towns in Ghana reaching 20,000 and more kids and youth. We are accomplishing this through. Teacher trainings, strategic partnerships with NGOs, Corporate Organizations, Educational Institutions and Governmental Agencies. Ghana Code Club is thankful to all our supporters, sponsors, volunteers and partners! Together, let’s make 2019 a fulfilling year!